Israel has found itself, since its creation, in the unfortunate position of being surrounded by countries that aren’t exactly very agreeable to its existence. Constant attacks and threats from these nations have kept Israel in a semi-state of war since its founding. Thus, in defending its sovereignty, it involves its highly-capable air force (IAF) as the primary shield in safeguarding their borders and citizens. Since the early 1960s, the IAF has been engaged in combat, turning back or shooting down aggressive incursions by declared enemy aircraft, striking land-based targets, etc. The vast majority of their aircraft, particularly multirole fighters have been acquired from foreign sources (i.e the United States predominantly and France, to a lesser extent). However, that’s not to say that Israel hasn’t been able to come up with their own indigenous fighters through Israel Aerospace Industries. While some of their aircraft flew with distinction in the IAF, others, like the controversial Lavi, were sadly never destined for service. 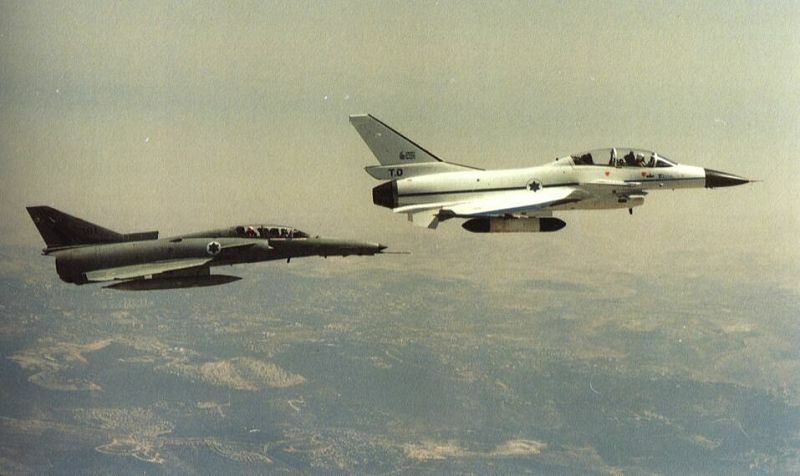 In the 1980s, the IAF’s higher command felt that their fighter aircraft inventory should be categorized dually: a smaller group of high-performance air superiority fighters and a larger number of fighters, easier to fly, cheaper and much less complex. The Lavi was designed as a multirole fighter, based upon the highly-successful F-16 from General Dynamics (later built by Lockheed Martin). 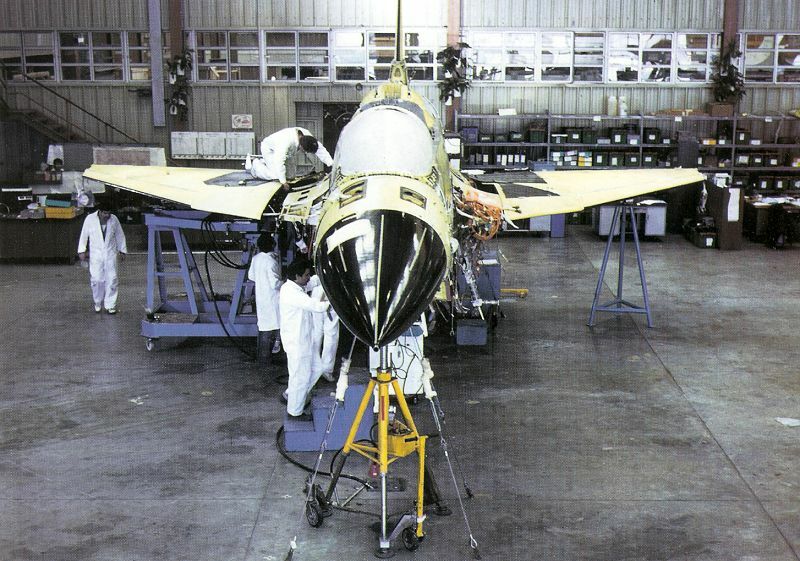 It was intended to fulfill the second tier at first, replacing the A-4 Skyhawk and Kfir (an IAI build) which were becoming increasingly obsolete with the advent of 4th Generation fighters. However, as the development moved onwards in 1980, numerous revisions were made to the Lavi’s original plans, forming it into a highly-advanced aircraft, especially for its time. The Lavi, or “Lion”, was built around a Pratt & Whitney PW1120 turbofan, an engine that would allow it to achieve speeds of Mach 1.8 with the afterburner lit. The airframe itself was smaller, lighter and equipped with a smaller engine than its older American cousin, the F-16, giving it a lower thrust-to-weight ratio than the Viper. Created with the concept of relaxed stability in mind, it was given delta wings and canards, allowing for high maneuverability. The fly-by-wire system built into the Lavi was highly-advanced, allowing for complete control over the inherent instability of the airframe. The chin air intake of the Lavi was similar to that of the Viper, but was shaped and built differently, lowering the RCS and infrared cross sections of the aircraft, making it a little stealthier. In essence, it became a smaller, but very capable version of the Viper. The test pilots designated to the Lavi program loved the aircraft and its performance (within testing regulations). So what grounded it? Well, just like any other aircraft set for military acquisition, it was subject to a lengthy scrutiny from Israeli defense officials. While the Lavi had the support of a number of politicians, including former IAF pilots, controversy erupted over the costs involved in designing and producing the aircraft. The cheaper F-16 options came ready-made from the United States and procurement was considerably easier, keeping in mind Israel’s already-established relations with US aerospace/defense contractors. Others, in support of the Lavi, argued for the economic benefits that would come with acquiring the jet. IAI also noted that the Lavi was very much able to be exported to other nations in need of fighters to replace their prior-generation aircraft. The issue reached international levels when the US made a number of overtures towards the Israelis, offering discounted prices on export F-16s should the Lavi program be scrapped. In the end, Lavi was finally ended in 1987 after a very narrow cabinet vote. Subsequently, the IAF bought 90 F-16s, fulfilling the squadron slots the Lavi would’ve otherwise occupied. After the program was cancelled, IAI finished building another Lavi for use as a technology demonstrator and project testbed. Some say that China acquired a Lavi airframe during the design phase of the Chengdu J-10, and some similarities between the two aircraft have been noted. However, the chief designer of the J-10 has vehemently denied that anything of the sort had occurred.